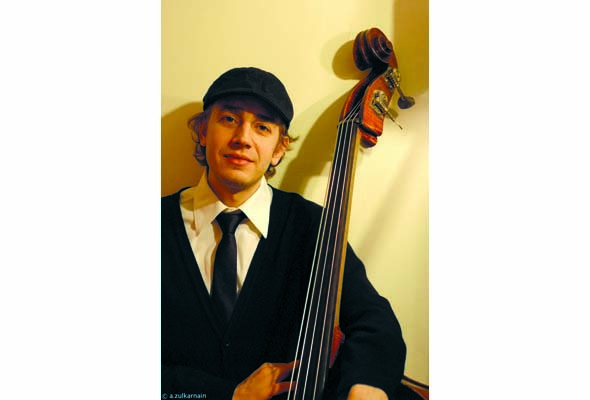 Following the path of many of our finest musicians, bassist/composer Zack Lober left his native Montreal seven years ago for the challenges and inspirations of the jazz life in New York City. It’s still the jazz world’s mecca, and that’s where Lober, 35, added a master’s degree at the famed Manhattan School of Music to his McGill undergraduate training. He often plays with some of the finest younger musicians at Club 55 and recently performed with reedist Henry Threadgill, an older trailblazer. 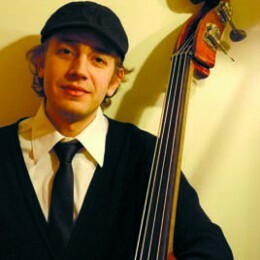 Lober deepened his self-awareness and understanding of the creative process with master classes from bassists George Mitchell in Montreal, Harvie Swartz and Mark Helias in New York and multi-instrumentalist Don Thompson. On February 21, he returns to Montreal leading a quintet at the Segal Centre in a new suite, two years in the making, called The Ancestry Project. It is based on the life of his maternal grandfather, Hyman (Blackie) Herman, a drummer, bassist and bandleader. He loved music and as a band leader had such Montreal luminaries as pianist Paul Bley in his band when he played at summer resorts in Ste. Agathe des Monts. To make a decent living, Herman had a day job in a firm that distributed and laundered work clothing. The suite is based on recorded interviews with Herman, which is a nine-part musical chronology of his life. “Each composition has a theme, based on what he’s saying. Sometimes it’s more of a narrative, with his voice coming in over the music, sometimes it’s integrated into the music, where I transcribe the pitch of his speech into music. At other points, I am simulating his voice with turntables, or sequences that I’ve set up. He was born in Poland, but left at age 2. The section called Pogrom explains how Herman heard from his father the story of why the family felt compelled to leave the country because of anti-Semitism. A section called Early Music recalls the fact that Lober’s great-grandfather was a violinist and that Zaideh Herman started on the violin. The section called Frank Sinatra recalls their encounter at a club, and that’s one of the surprises Lober is holding back for the performance. Another section, titled Tito Puente, is about Herman’s trip to New York, where he discovered the mambo and cha cha cha from the Puerto Rican-born King of Latin Jazz. Herman, now 88, and his wife, Sophie, are expected to be in the audience. To raise funds for the project, Lober used the “Kickstarter approach,” where he raised about $11,000 online from supporters and friends—$30 to $500—for pre-purchase of tickets, CDs or MP3 audio recording of the live performance, and opportunities to meet the musicians. As Lober says, the money is to rent the venue, pay the musicians, videographer, sound engineer, and a video editor to create a promotional video for future booking opportunities in Canada and abroad. Zack Lober’s The Ancestry Project will be performed February 21, 8 pm, at The Studio of the Segal Centre, 5170 Côte Ste. Catherine. $30 plus tax. 514-739-7944. Be the first to comment on "Bassist Zack Lober mines his ancestry in a musical tribute to his grandfather"